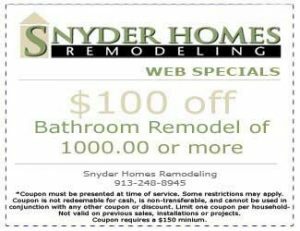 In business since 2000, Snyder Homes Remodeling is a design-build firm which means you hire us to do everything from creating professional-quality drawings to project management and construction of the project. We do it all. When your time is at a premium, a single point of contact is a plus. Copyright © 2016 Snyder Homes. All Rights Reserved.